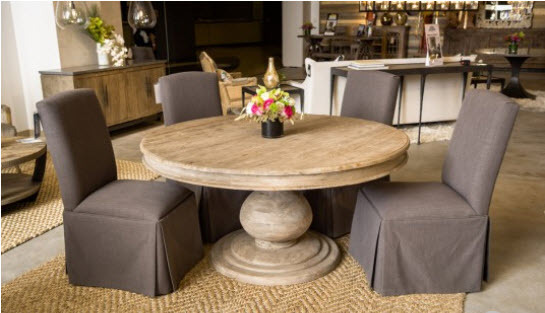 The Brooklyn 60 Inch Round Dining Table is made with solid pine wood that has been hand distressed. Each table features subtle variations in color, grain and texture. This hand carved pedestal base makes the table a strong statement piece that will enhance any space.